Losing a tooth or teeth is kind of frustrating isn’t it? You may be embarrased to smile, you may feel that something is missing, and you might even feel discouraged. At SofTouch Dental we offer many Dental Implant services, the efficient way to replace your tooth or teeth. 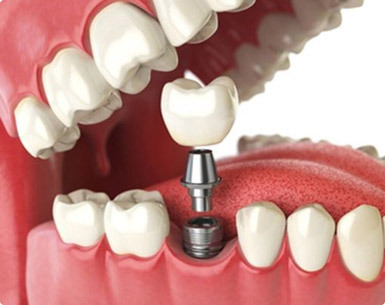 An implant is a titanium pin, titanium is lightweight, strong and biocompatible, which means that it will not be rejected by your body and the implant is used to replace your tooth root. The procedure is quick, painless and can be completed in one visit, once the implant is placed and healed, the final restoration of your tooth can be completed. 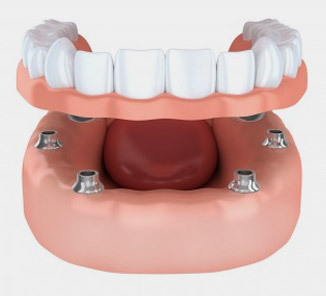 Usually an implant crown is preferred to replace one missing tooth, however, we offer a variety of options. Previous evaluation is needed by your Dentist to determine if you’re a candidate for a Dental Implant, call us today at 480-830-5003 to schedule your visit.